The Macallan Distillery in Craigellachie, one of the world’s most prestigious malt whiskey brands has recently opened the doors of its new £140million distillery and visitor experience to the public. The new distillery and visitor experience is set into the landscape of the 370-acre Easter Elchies estate that has been distilling one of the world’s leading single malts since 1824. 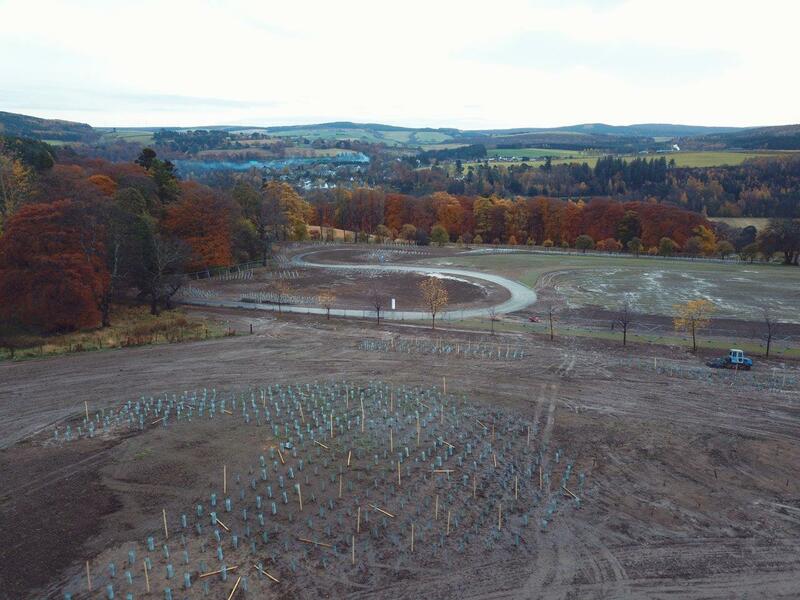 As the preferred site for the new distillery was designated by the local planners as an area of Great Landscape Value, the distillery had to be sensitive to its environment, while still allowing Macallan to increase its production to meet the demand of increased sales forecasts. The Macallan distillery is operated by Edrington, a privately-owned international spirits company based in Scotland. They had taken the decision to close down its old distillery and create a new one less than 500 metres away, with precise copies of the existing pot stills. The new complex was designed by architects Rogers Stirk Harbour + Partners. They were supported by Landscape Architect, Gillespies, with the landscaping contract being awarded to Highland Landscape Design, who provide landscape-design and maintenance services across Scotland. 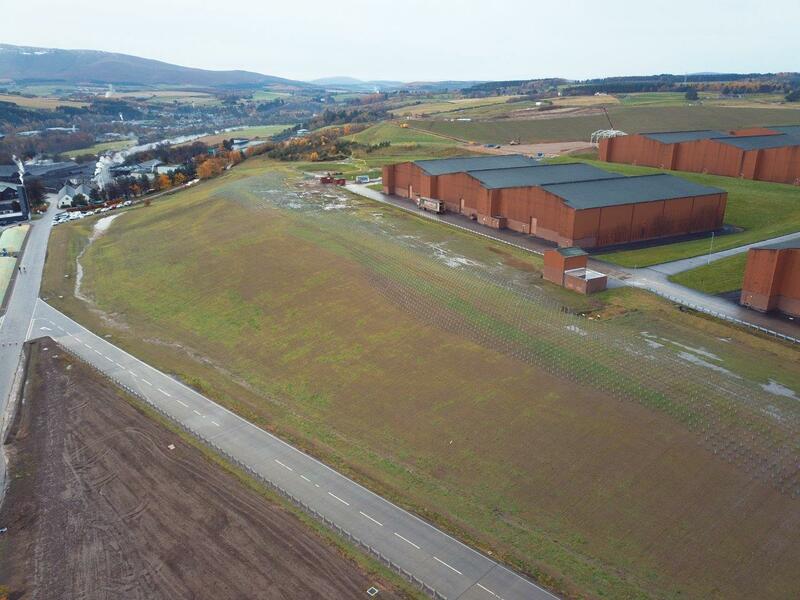 The distillery, near Craigellachie in Moray, has been camouflaged under a vast 14,000 sq. metre wildflower turf green roof, which has been designed to blend in with the surrounding rolling hillside and installed by Sky Garden and Topek Ltd. A proportion of the surrounding land has been planted with 45,000 trees. There were also 330 large standalone trees planted. Highland Landscape Design is a long-standing client of Green-tech and won the prestigious planting and maintenance contract. They turned to us for the materials needed for the huge planting project, which included over 45,000 60cm and 120cm Tubex Tree Shelters, 45,000 timber stakes and more than 100 rolls of natural hessian tree ties. Green-tech is the largest distributor of Tubex tree shelters and guards and protects in excess of 10 million young plants and trees every year from browsing animals.